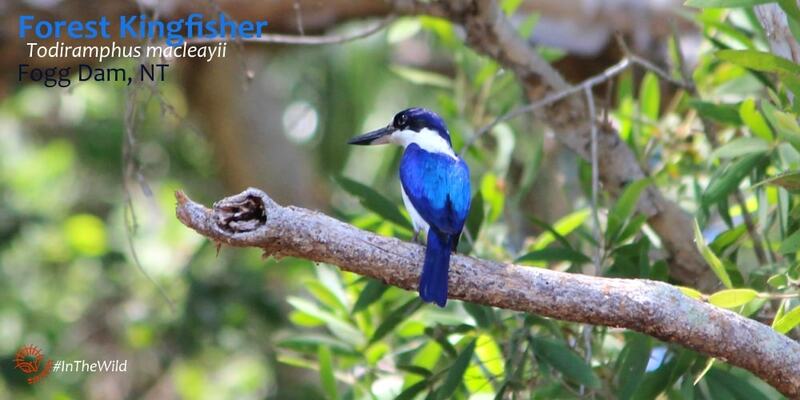 Fogg Dam, One of Australia’s most famous birdwatching sites, is an hour’s drive from Darwin, the capital city of Australia’s Northern Territory. On our own, we are slow travellers. 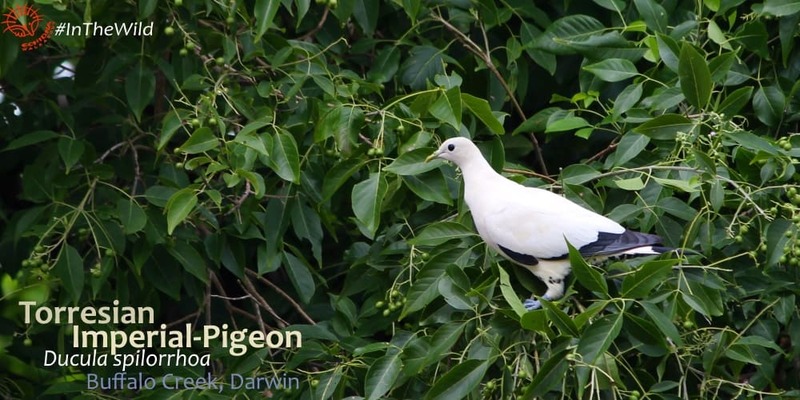 On our first wildlife watching trip to Fogg Dam, in the Northern Territory Top End, we stayed a week. Why leave when every puddle contained a Jabiru, every roadside grassy spot was teeming with finches and the sky was punctured by Red-tailed Black-cockatoos? It was fabulous. We walked every track, over and over. We visited in the morning, at midday and in the evening. We went out at night, dodging Water Pythons on the road. 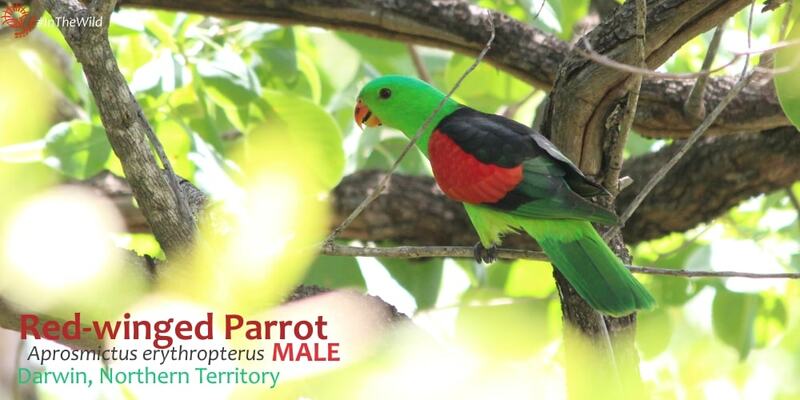 In the Top End the ‘city pigeons’ are Torresian Imperial-Pigeons, the ‘magpies and jays’ are Red-winged Parrots, the ‘sparrows’ are Crimson Finches and the ‘robins’ are Forest Kingfishers. The ‘deer’ are Agile Wallabies and the ‘foxes’ are Dingoes. It is nature at its best – Aussie-style. Our favourite experience of all was breakfast at Fogg Dam. To sit at the elevated bird hide looking east over the floodplain – sun rising through the fog (which is not the reason for the site’s name* but a feature of the morning humidity) – is a time never to be forgotten. We decided that when we offered this trip to travellers, breakfast at Fogg Dam would be in the itinerary. 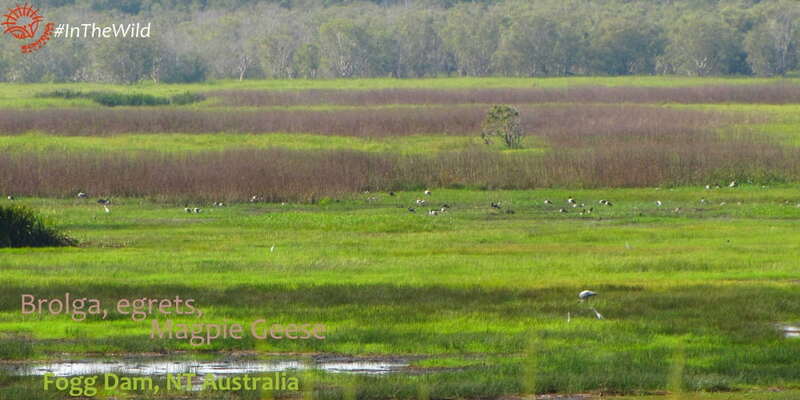 After all, nothing compares to watching huge, shy grey Brolgas walking armpit-deep through reeds. Especially with a mug of real coffee in your hand. 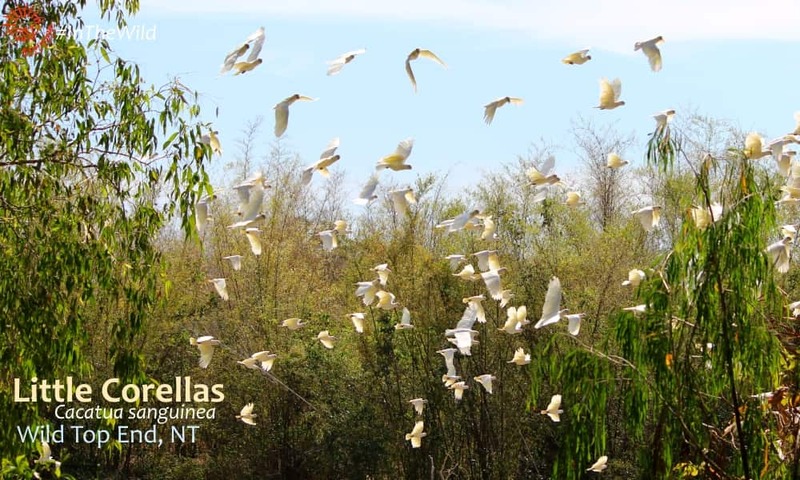 It’s easy to get distracted from a delicious slice of fruit bread when a big flock of Little Corellas flies in for a drink. 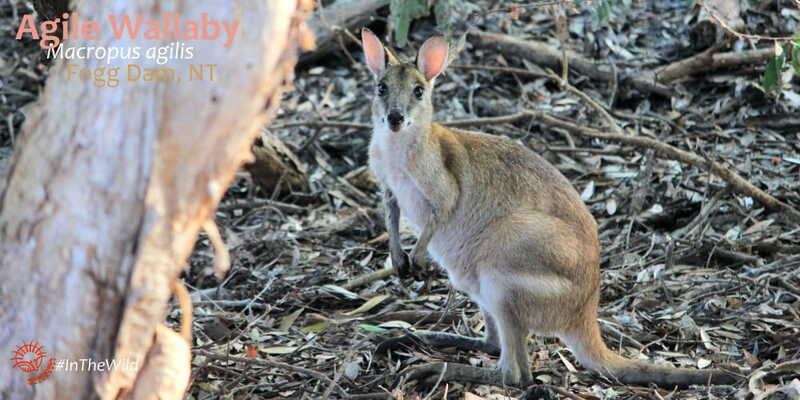 And chunks of fresh mango and pawpaw can get hastily discarded when an Agile Wallaby appears and looks up at you, cute as a button. 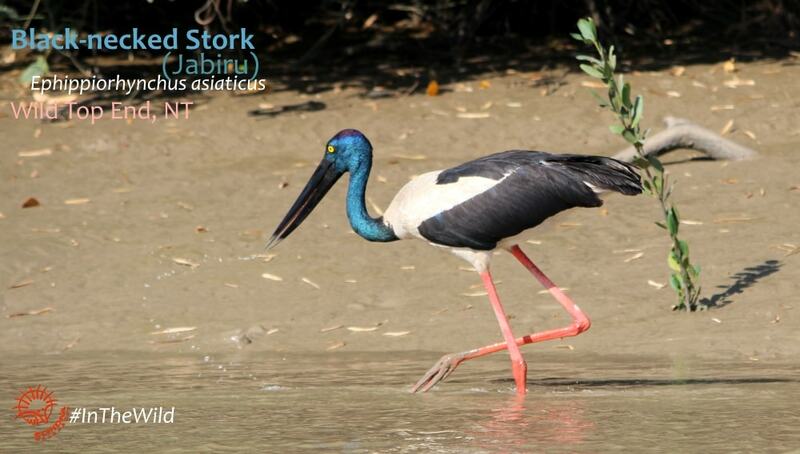 Our 6 day Wild Top End tour combines the best wildlife watching experiences in the Top End. And guess what? Breakfast at Fogg Dam is our first stop. 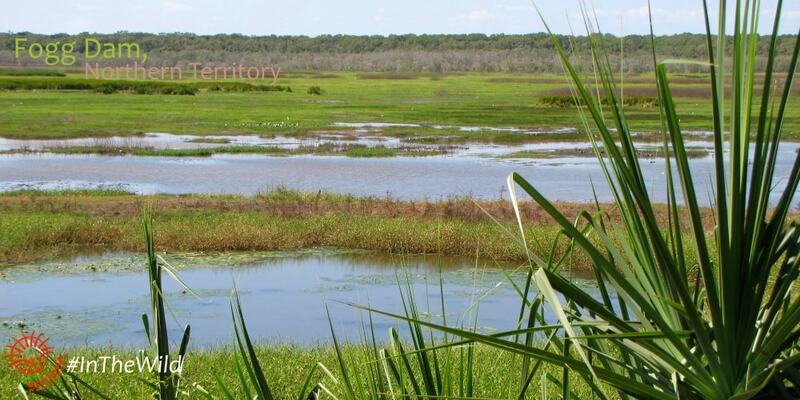 Learn more about Fogg Dam, an Important Bird Area (IBA) at the excellent Friends of Fogg Dam website. They have bird and wildlife watching lists on the site. * Fogg Dam was named after the Managing Director of the company that built the dam for a rice project. Read more here.